He announced that he had submitted his letter on Monday, saying he wanted his colleagues to understand they can “completely trust” Sir Graham Brady. The MP for Reigate told talkRADIO’s Mike Graham: “People are very nervous. One of the reasons I have gone public with it, to say that I have done it, is to make it clear because no one knew that I had. “I submitted my letter twice. I submitted it in October when I thought we needed a new leader in place for the December Council that is happening now. “He is not going to tell anybody that they have written a letter. Anyone in the government can write a letter, any junior ministers or any backbench MPs. “They are all entitled if they have got a view that we now have to resolve the issue of the direction of the party. “Whether the party is going to continue down the line of not really leaving the EU at all, or whether we are going to take our freedom on March 29 and go and negotiate free trade agreements with the rest of the world. Talking about the EU negotiations, Blunt described the Irish backstop as a “non-issue”. “The Prime Minister started out the negotiating process by being admirably clear that we were not going to be in the customs union because we would then not be able to have free trade agreements where we wanted,” he said. “We were not going to be in the single market because that did not bring an end to uncontrolled immigration from our European partners. “She set out her position and then gradually through the negotiating process, we have had almost complete focus on the Withdrawal Agreement and no focus on the future. “It was the future trade agreement that was of the most interest to the UK. 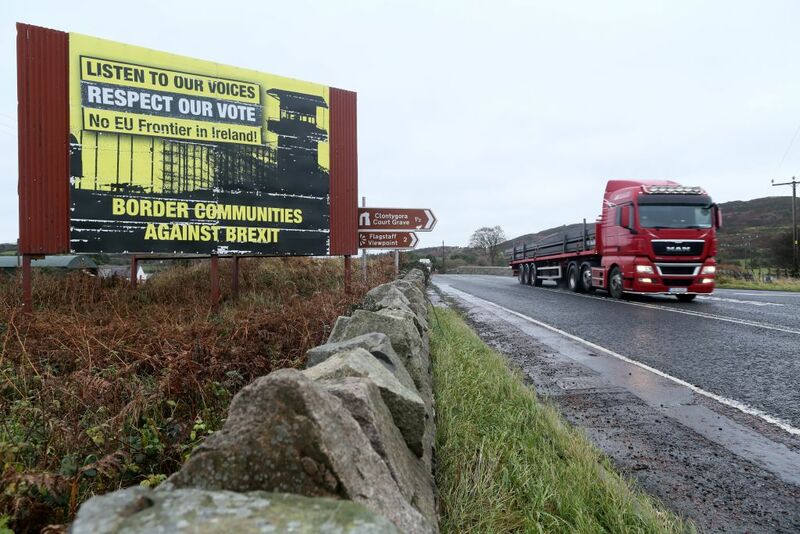 We got sucked into the nonsense of the backstop and the Northern Ireland border, which is a total non-issue.